Sylhety Bakarkhani is completely different from that of Dhakai Bakarkhani . Where Dhakai Bakarkhani is kindda cookie type snack , the Sylheti bakarkhani resembles paratha a lot ; Mishti or sweet paratha of course!!!!!!!!! Some extra ghee , flour and sugar . Make a one thread sugar syrup of these ingredients . The sugar syrup should be thin . You may add 2 cardamoms and a small stick of cinnamon while making the syrup . 1. Mix flour , salt , sugar , powder milk , ghee, baking powder. Now add warm milk and make a dough . Knead well . Cover the dough with a wet cotton or cheese cloth for at least 1 hour . 2. After 1 hour , the dough would look very stretchy .Knead the dough again and make 2 balls . From this recipe , you can make 2 bakarkhanis. Now roll out each ball to a thin disk. Rub some ghee over it . Now dry out the ghee applying some flour over it . That is coat the ghee surface with thin flour layer . It would help having the layering and flaky effect. Now rub some ghee again over it . 3. Fold the roti like an envelope . Length wise then again crosswise, would look like a square . Mow fold every four edges of the square shaping it a round ball again . 4. On a hot tawa fry them first like chapati or roti . Now apply some ghee and fry them like paratha . Let them cool a bit . 5. 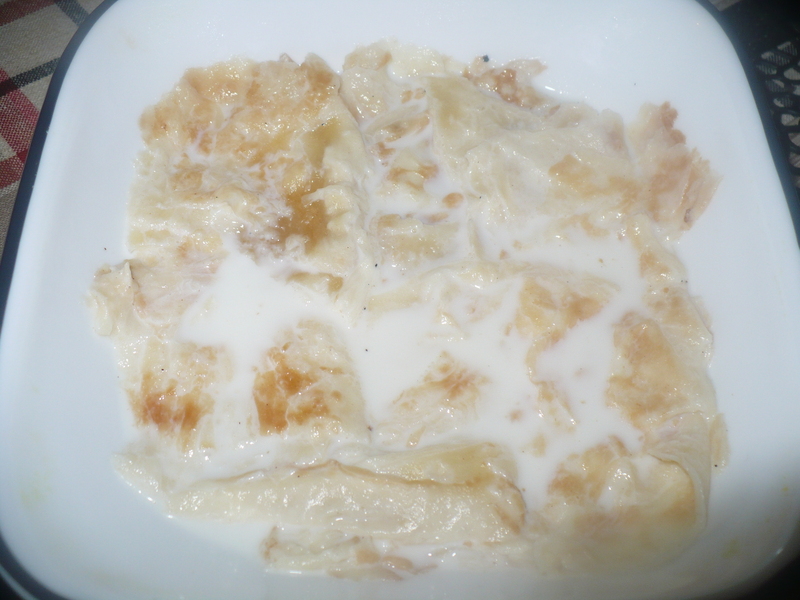 Soak the cool paratha in light warm syrup just for a once . Try to dip it with a tong for only a second . That’s it . Immediately place it on a hot tawa and just fry for few seconds , so that the water dries out a bit . Only few seconds .Keep in the air for a while. 1. Don’t put the hot fried paratha in warm syrup . That would make your paratha too soggy!!!! 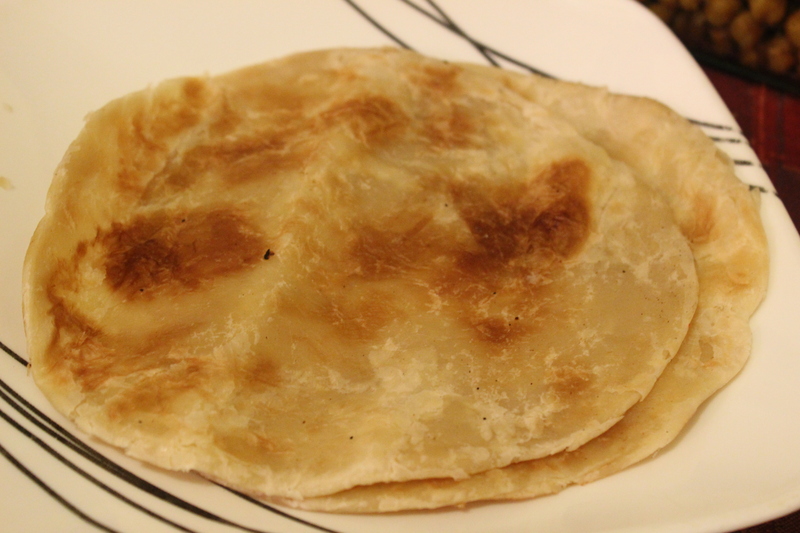 Light warm or cool paratha in luke warm syrup is perfect . This entry was posted in Snacks and Lighter Fare and tagged Bakarkhani recipe, Bakarkhoni, Bakhorkhani, Bakhorkhoni recipe, Bakorkhani, Bakorkhoni recipe, Sylheti Bakarkhani, Sylheti Bakhorkhoni, Sylheti bakorkhoni, Sylhety Bakorkhoni, Sylhety recipe. Bookmark the permalink. Wowww !!! Thank u so much apuuuuuuu !! U r best ! THANKS apu..koto din theke bhakorkhanir recipy ta khujcilam.. Thanks for the recipe! Have been searching for it for a very long time. And can you please post a video on it? Please.